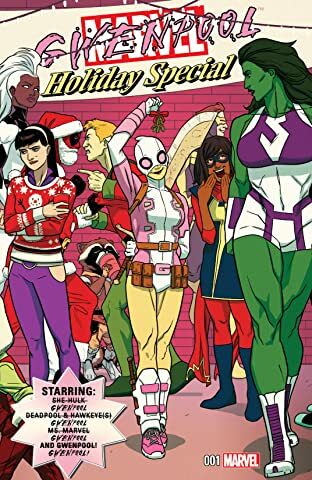 An All-New, All-Different Marvel Holiday Special! She-Hulk throws a holiday party and invites the entire Marvel U! Deadpool teams up with both Hawkeyes- Kate and Clint- to…stop a pickpocket? Ms. Marvel takes on her most dangerous threat yet: the holiday blues! 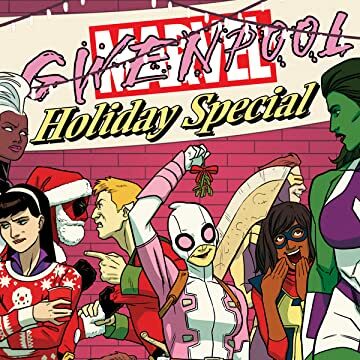 And then there’s the reason for the season (al special): Gwenpool! Yup, you read that right- Gwen. Pool. C’mon, you know you’re curious.